We’ve set up our automated tests, but they’re running in Node.js, not real browsers. That’s a problem because Node and browsers aren’t totally compatible. 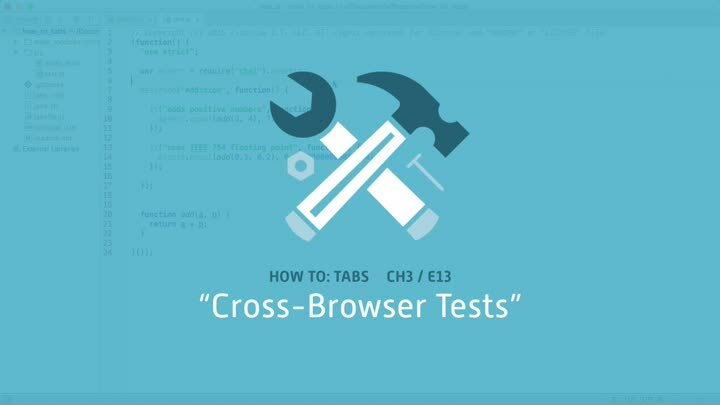 We need to test our code in our actual supported browsers to be certain it works. We look at the options and demonstrate how to get Karma up and running.